National Testing Agency will conduct NEET 2019 on May 5, 2019. Most students who have ever prepared for the medical entrance exam would agree that its syllabus is vast. Thus, a preparation plan for the last month is essential to work in a focused manner and be able to study, revise, improve oneself before the exam day. 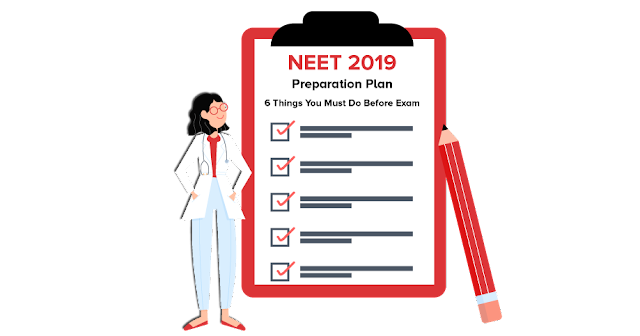 With form filling, corrections over, now all that remains is downloading of NEET 2019 Admit card which will be available from April 15, 2019. So students can now completely focus on studies with this following preparation plan. Practising mock tests with lsoft.co helps you understand the standard of test, exam pattern: Physics – 45 questions, Chemistry – 45 questions, Biology – 90 questions. After every mock test, one should check the answers and do a self-analysis of strengths and weaknesses. Over the years students have commented just after an exam that some questions were outside NCERT. Now there are 3 aspects to it. First, on deeper analysis, more than 50% of the questions that students found to be outside NCERT were actually from NCERT but students had not paid attention to that section. Second, 25% of the questions were not directly from NCERT but from concepts in it. Remaining few were in all likelihood from topics in syllabus only but not directly from the book.